I got inspired by the big idea behind Exceed; hence I invited CEO and Co-founder Ilan Kasan to my podcast. We explore the challenges every sales person has in performing in their job and how the bulk of their time is spent on tasks that doesn’t use their competence in the optimal way. 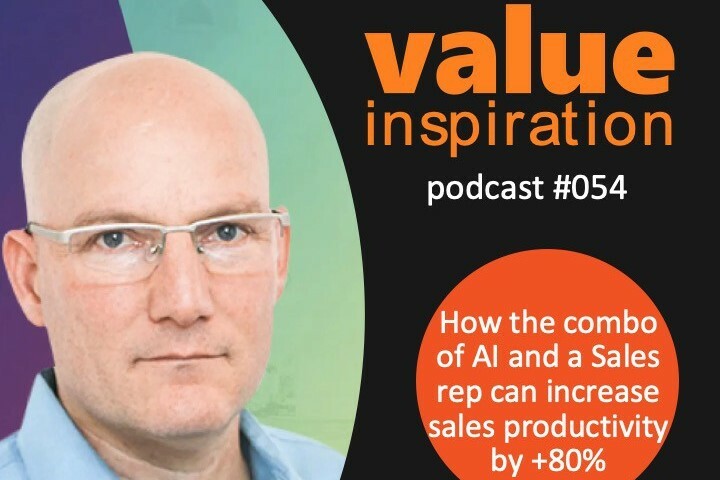 We also assess why a combo of Sales + AI delivers better results than simply trying to replace Sales with AI. Just imagine: What would happen if everyone in your sales team would not have 30 meetings per month, but a staggering 55 – and, have more time to prepare for it, and thus be more successful in closing deals and hitting their targets. People often talk about the double edge sword as a negative thing. But what if both sides of this sword would actually work in partnership to give you a competitive advantage? It’s what Renée Mauborgne and W. Chan Kim have labelled “The Blue Ocean Strategy”. What Ilan identified is that sales lose a lot of their time in the process of qualifying, following up, talking to the wrong people, and trying to set appointments. As a consequence, they typically score a relatively low number of customer meetings. Here’s where AI is coming to the rescue. Not only by removing the need for sales to spend valuable time on the above-mentioned process, but more importantly, by also increasing the number of meetings they have in their agenda. And it’s the qualified meetings where sales skills can really come to fruitage. So, we’re talking about the famous ‘best of both worlds’ – Human and AI working in partnership in order to leverage the strength of both – lowering the lead qualification cost by 67%, increasing qualification accuracy and quality, and at setting sales up to increase top-line with ease. With these types of results, why are so many organizations still so hesitant to introduce AI to their organization? A common answer to that is that they are afraid it’s going to take their jobs. That’s a very defensive approach. But what if you’d take the offensive approach – appreciating the advantage the combo of humans and machines will give. Too many organizations are keeping themselves behind by protecting the status quo. Too many organizations only look at the cost-cutting aspect via automation. But as Ilan quotes: “I believe that this technology can be applied not only marketing and sales, it could be applied in things like customer success, renewal of contracts, new products that help drive adoption of products.” These are all revenue generating activities. And by combining the strengths of human and machine, the results can be exponential. So just take your first step – select one use-case and get started. If you don’t, don’t be surprised your competitor will. Listen to the big idea behind Exceed, and why it has the potential to transform the impact of your sales & marketing investments – by lowering the cost, and increasing the value potential. Exceed.ai Update: Integrate your Zoho Account!